When we reflect on the tragedy of the crucifixion of Jesus Christ, it is a natural question for anyone to ask. The standard answer is to say that the day is called ‘good’ because the death of Jesus has caused the good outcome of the forgiveness of sins and the hope of eternal life for those who trust in him. Whilst this outcome is certainly true, it seems that the origin of the name of this day may be linked to the original use of the word ‘good,’ which is said to have meant “observed as holy”, according to the Oxford English Dictionary. 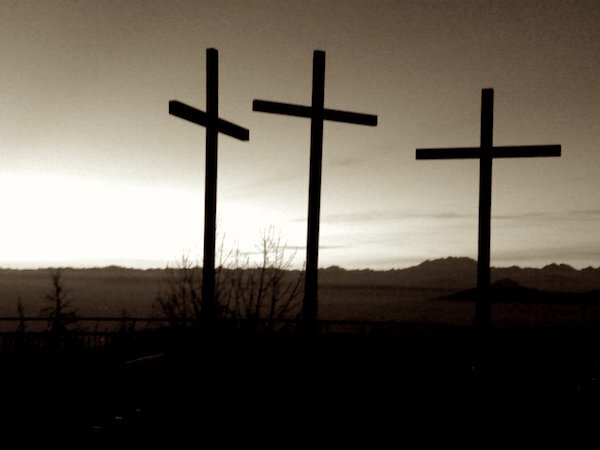 But regardless of the origins of the name ‘Good Friday’, its title has remained to this day, and continues to define this most-significant day in the Christian calendar. For, on this day, we remember the moment that is at the very heart of Jesus’ mission of reconciliation. For we read in the New Testament book of Colossians that God “has reconciled you by Christ’s physical body through death to present you holy in his sight, without blemish and free from accusation” (Colossians 1:22). And no matter what we call it, that day is not only a good day in the history of the universe, it is the greatest day of all.